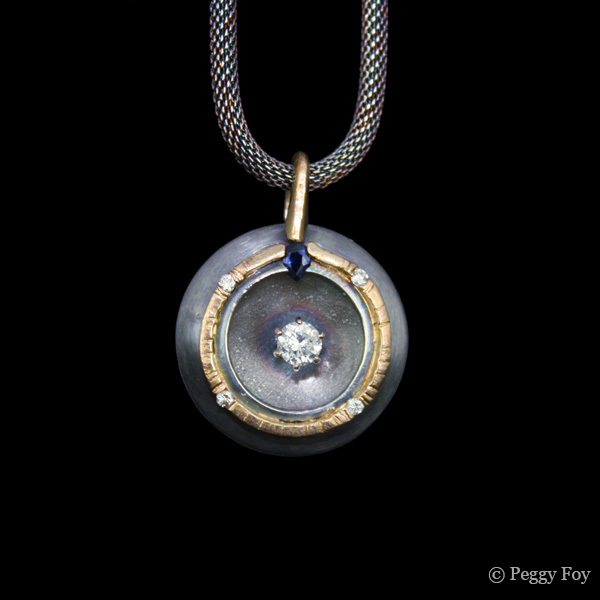 This is my first piece using 14k gold and diamonds. You can read the full story of this piece in this blog entry over here. The design is based on my theme of the compass motif, following the idea that while a directional compass points towards magnetic north, we each also have an internal compass that points the direction of our lives. Too often people forget to look to this internal compass, and feel lost on their individual paths. So this piece is to serve as a token that helps you find your way — not by looking outward, but by looking inward. 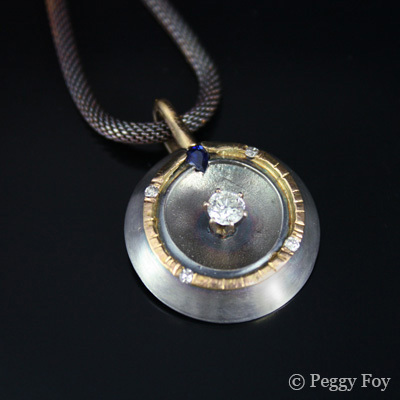 Materials: Reforged wedding band (14k, diamonds, sapphire); sterling silver; appx 1″ diameter; 2011.